Our prices are per person in the chalets’ standard beds. Several YSE chalets also have Extra Beds, which are shown on the price grid and described on each chalet page. Extra beds may only be booked if one party fills all the standard beds in a chalet (except in Chalet des Neiges and Les Chardons). The extra bed may be a third bed in a bedroom (including bunk beds and pull-out beds), or the other half of a double bed in a single room, or beds on a mezzanine floor above a sitting room or bedroom. We charge 85%* of the normal price to the occupants of these beds. This includes flights and transfers (subject to availability). If no flight or transfer is required, we charge 50% of the normal price subject to a minimum holiday price of £400 on all dates. 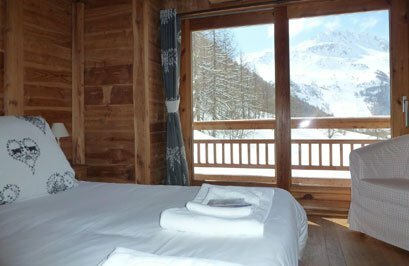 *Room 4 in Chalets Ptarmigan and Pic Noir are both single rooms that can sleep a second person, and booked as a twin or double. We charge 50% including flights and transfers for the second person in these rooms or 35% if no transport is required – the first person still pays full price! Children in extra beds do not receive children’s discounts. Flight seats for extra beds may be limited. If you wish to keep a standard chalet bed empty, we charge 75% of the published price for the first two empty beds in any booking, then 100% of the published price for the third and any subsequent beds you wish to keep empty. This includes single occupancy of a twin or double bedroom. After the balance due date (10 weeks prior to departure) it is not possible to reduce the price of any bed to the empty bed price. Please note: if you under-occupy a chalet and pay an empty bed charge, we do also charge for a baby.